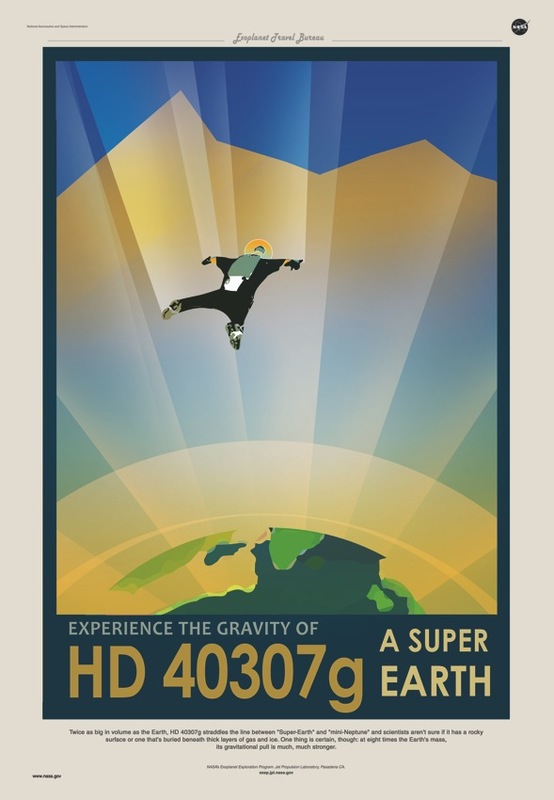 NASA’s travel posters for real exoplanets are beautiful #ArtTuesday « Adafruit Industries – Makers, hackers, artists, designers and engineers! 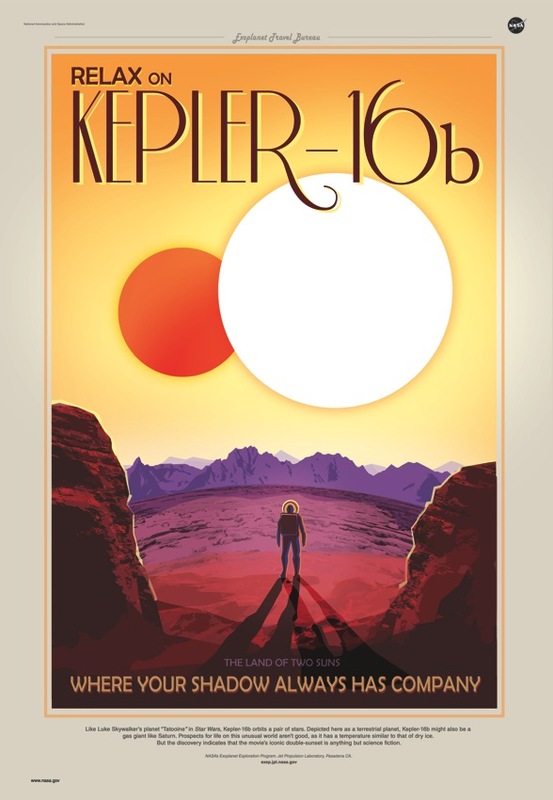 Engadget posted about these gorgeous prints from NASA featuring distant exoplanets. NASA’s Kepler telescope is still discovering new, distant exoplanets in our corner of the Milky Way, but oftentimes they’re hard to visualise and easily forgotten about by some of us normal folk. 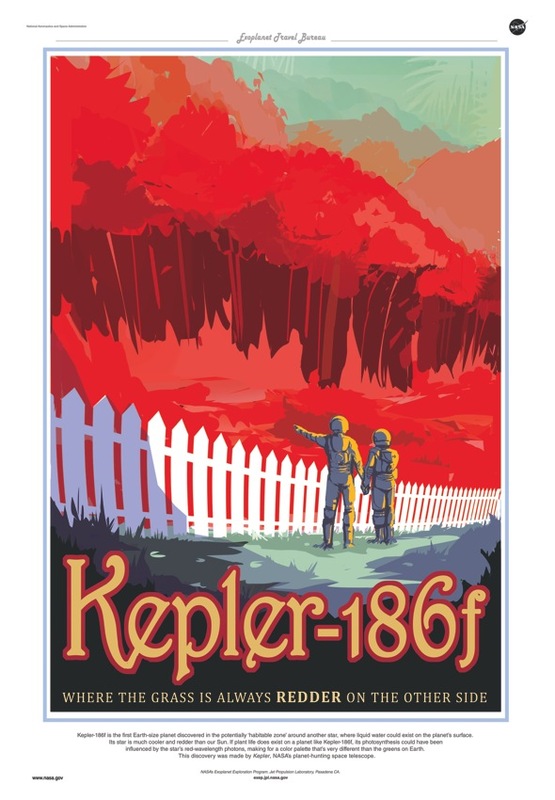 Now, to get everyone dreaming about these potentially habitable worlds, NASA’s Jet Propulsion Laboratory has drawn up a trio of beautiful posters by the “Exoplanet Travel Bureau.” All three echo the WPA’s iconic travel prints from the mid-1930s, with classic typefaces and swathes of flat, contrasting color. Given we don’t know exactly what each planet looks like, the designers have taken some creative liberties here — but they should still be more than enough to spark your own imagination and curiosity in the stars.